A leading cancer specialist has criticised a recommendation that four drug treatments for kidney cancer remain unavailable on the NHS. The drugs - including Sutent - do not offer value for money, according to draft guidelines for England and Wales. 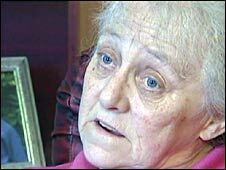 Jean Murphy, 63, from Salford, recently took her case for the NHS to fund her treatment to the High Court, but lost. 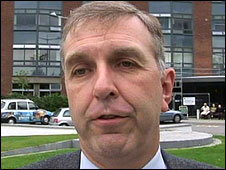 Professor Robert Hawkins, a consultant at Christie Hospital, said the decision was "terrible for patients". He said: "I think it would be absolutely awful that this would be one of the very few situations where there is clearly effective new treatments, and they are not available on the NHS." The drugs, which also include Avastin (bevacizumab), Nexavar (sorafenib) and Torisel (temsirolimus) were found by the National Institute of Health and Clinical Excellence (NICE) to provide "significant gains" in survival. Professor Hawkins said the decision was "terrible"
But further analysis showed they did not meet NICE criteria for "cost-effectiveness", as the drugs cost between £20,000 to £35,000 a year per patient. The draft guidelines, which are subject to appeal, recommended people already on the drugs should be able to continue therapy. The drugs do not cure the condition, but can help extend a patients' life by about five to six months. Mrs Murphy was denied Sutent three times, but has since been given £10,000 by a mystery benefactor to fund her treatment. Manchester broadcaster Anthony Wilson, who died of kidney cancer last year, was also recommended to take Sutent, but was refused the treatment on the NHS. His friends paid for his treatment, which he believed dramatically improved his condition.